Leadership and staff of software company Pixel Pines will join B9Creations, a global provider of professional 3D printing solutions based in the Black Hills, in a statement announced today. Pixel Pines Partner Brian Butterfield will join B9Creations as Vice President of Product Management, joined by Pixel Pines Partner Pat Honeycutt who will serve as B9Creations’ Vice President of Product Development, with the remainder of Pixel Pines’ staff joining the B9Creations Product Development organization. Leveraging Pixel Pines partners’ 20 years in enterprise software solutions and product management, this talent addition strengthens B9Creation’s position as a market leader in high-resolution additive manufacturing for jewelry, prototyping and manufacturing, research, medical devices and model making. 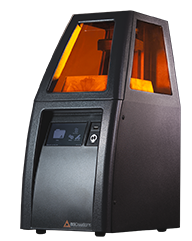 Founded in 2011 as a Kickstarter campaign, today B9Creations provides professional 3D printing solutions to thousands of customers and certified dealers in 66 countries around the globe. This talent addition positions B9Creations to maintain a competitive advantage in the rapidly evolving 3D printing industry, which is projected to grow from $5B today to more than $25B by 2022. It’s also illustrative of the burgeoning Black Hills tech boom. With this addition, B9Creations role as part of the economic engine of Rapid City and the region continues to grow. B9Creations is driven by the desire to see opportunities created through technology, with an ever-expanding suite of solutions poised to disrupt the $12 trillion manufacturing industry from automotive to aerospace. “B9Creations’ and Pixel Pines’ teams both care deeply about our customers, our company, and making a difference in our community and those around the world. Together we’ll do just that,” Anderson said. Pixel Pines, the software company itself, along with its customer base, support and maintenance agreements, will be acquired by new leadership. The transition will be complete by January 2018. Pixel Pines is an enterprise software development company based in Rapid City, specializing in custom software solutions for businesses. Pixel Pines serves customers across many industries and sectors by expertly applying software solutions to their critical business process needs. Find us online at pixelpines.com and view our customer stores at pixelpines.com/stories.